So the DIGABLE ARTS FESTIVAL is this weekend!!! Just finished a couple of large pieces. 22" x 32". here's one just to give you a little somethin' somethin'. If you dig what you see...come to the festival and see in real life!!! :) Hope to see you there! 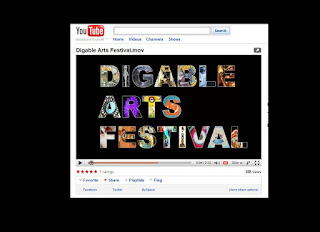 So check ME out in this video promotion for the DIGABLE ARTS FESTIVAL! Ok...so I went to check out the space in Hoboken and reserved my spot and just wanted to give everyone a heads up on the details. If you take the elevator up to the 3rd floor. Make a LEFT when you get off the elevator and then another LEFT at the end of the hallway...you'll find Room 310B...big green poker painted door...that's where I'll be! We are converting the space into an interactive arts environment. We have SEVEN Art Salons set up for visual arts. MAIN ROOM will be used for LIVE BANDS, VENDORS and INTERACTIVE ART. CHECK YOUR FACEBOOK INVITES FOR MORE INFO. BTW...mark your calendars for another show at the Loop Lounge on Friday, March 26th. I won't be in this one but it is an Animal Rescue benefit and Tom and Kate will be showing in this one. I'll be there to support them. You should be too! Details to follow.